The Danish Institute of Fire and Security Technology (DBI) is Denmark’s leading knowledge centre in the field of fire safety and prevention. We maintain our knowledge through relevant participation in research and development activities and services that we offer private and public enterprises, institutions and authorities. Through our international network we systematically collect and process the latest information on fire safety and protection from all over the world. Moreover, we actively contribute to and participate in efforts to set norms and standards at national and international levels within our key fields of activity. 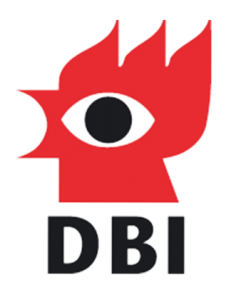 Based on these activities, DBI develops and maintains a programme of innovative, valuable services that assists our customers in fulfilling their goals and obligations related to fire protection and safety. DBI is an independent, private, non-profit enterprise. We are approved by the Danish Ministry of Science, Innovation and Higher Education as a technology service institute and we are part of a network called the GTS – Advanced Technology Group, comprising more than 3,000 highly-educated specialists.